CIOs and IT Managers of the past took pride in how many servers they managed. CIOs and IT Managers of the future will pride themselves in how few. 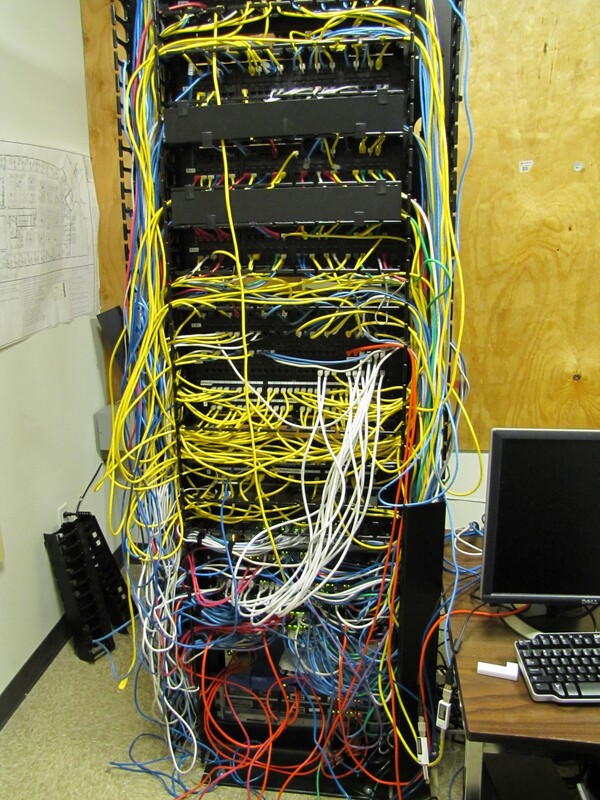 The point I am illustrating is that the server room, like everything else, needs maintenance and attention. It needs to be managed by professionals. Why would anyone want to do this when their core competency lies in making people laugh, making widgets, or fixing them? 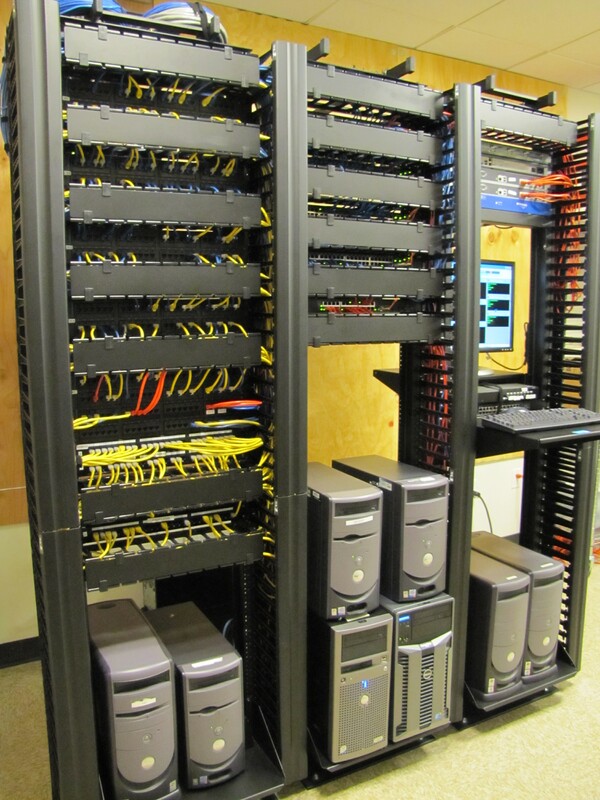 I have been at conferences where people talk about the tribulations of moving premises with a server room and how proud they are of their new server room and their team who set it up. But seriously, why should anyone be proud of their server equipment for its own sake? Yes, we should take pride in our work, yes we should take pride in being professional, and we should be embarrassed if we see entropy bring a rack down to the example shown here. But our true source of pride should come from enabling our business to be the best it can be in delivering its core competency. Unless servers are part of our core competency, More servers, less fun I say. In thinking about writing for this blog, I was musing about the journey I have been on with using the cloud and was thinking about my early days with Salesforce. When I first used Salesforce, there were two things that stood out for me as being incredibly powerful about the product, and enabled me to see it as a potential business platform. These were the ability to define custom objects, with clearly defined relationships between them, and a customisable user interface – a user interface that was highly structured, yet flexible enough to drag and drop fields and sections around the page. Bear in mind these were nearly five years ago, and a lot of progress has been made since then. I figured that with these features, I would be able to use Salesforce as a complete business platform, but I ran into the first of many of the limits Salesforce has imposed on the platform use. I will be writing more about these limits in a detail post at a later point, but for now I want to talk about a limit that made me realise Salesforce really didn’t understand just how much potential they had to break the shackles of their CRM roots: you couldn’t have more than 25 custom tabs. I told them that 25 was nothing and they asked me how many could I possible want – 40? 50? I sent them a reply listing more than 90 specific tabs, which really got their attention. Now I have more than 300 custom objects in our installation of Salesforce being used in all sorts of interesting areas. I intend to share some of these use cases over the coming weeks along with other stories using other cloud applications and platforms. For now, I just want to plant a seed that the initial limits born out of the need to protect all clients in a multi-tenanted architecture place unnecessary restraints on people’s perceptions of what is possible. I intend to talk more about this concept as well. The idea of runtime metacustomisation is such a powerful concept though. Born out of the idea that a single platform can be leveraged by not hundreds, not thousands, but by millions of users, it really excites me to think about how much leverage can be gained by abstracting more of the development into the background. Just like what happened when we went from DOS to Windows, and suddenly all of the work required to write drivers to support different monitors, printers and input devices became a thing of the past. Plenty has excited me since, but it is hard to recapture that initial excitement when you know you are onto something special. I am Alan Perkins, CIO at Altium Limited, a company that lives and breathes the philosophy that innovation is the key to a better world. Our company reflects it, our people reflect it and our products reflect it. For the past four years we have been moving our entire business into the cloud and I am often asked to speak about our achievements and experiences. IDC recognised this last year by awarding Altium with an Enterprise Innovation award and naming me one of the top ten finalists for Asia Pacific CIO of the Year. I intend to share my thoughts about various aspects of the cloud here. I welcome comments, and am keen to see others learn from my experiences, both the good and the not so good. Alan Perkins is a regular industry speaker on Cloud Computing as a means of facilitating innovation. Alan was a top ten finalist for IDC's Asia Pacific CIO of the Year 2009 and winner of an Enterprise Innovation Award. The views in this blog are his own and not necessarily those of his employer.